The simulation used in your course will have two phases; the Single-Player (practice) phase, and the Multi-Player (competitive) phase. It is important that you know the difference between these phases, and that you are entering your decisions in the correct World. In the Single-Player you will compete against a single computer-controlled competitor. In the Single-Player you are able to rollover from one year to the next or rollback as you wish in order to test and change your decisions. 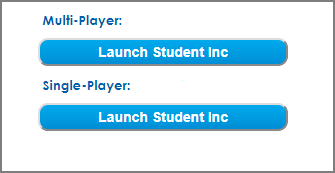 In the Multi-Player you will compete either individually or in teams against other student-run companies in your class. Moving from one year to the next is done by automatic rollover on pre-set dates scheduled by your instructor. Some courses may not have a Single-Player phase or a Multi-Player phase, please check your course outline for more information. What is the Performance Star Rating in MikesBikes?